The Mindfulness Meditation App is designed to help you enter into a mindful state of mind, with the intention of helping you to unwind, relax, and refocus your attention on the present, in an accepting, and nonjudgmental way. Track 1 is designed to help you quickly relax and unwind, while Track 2 is a guided visualization. Each track is accompanied by soundscapes. 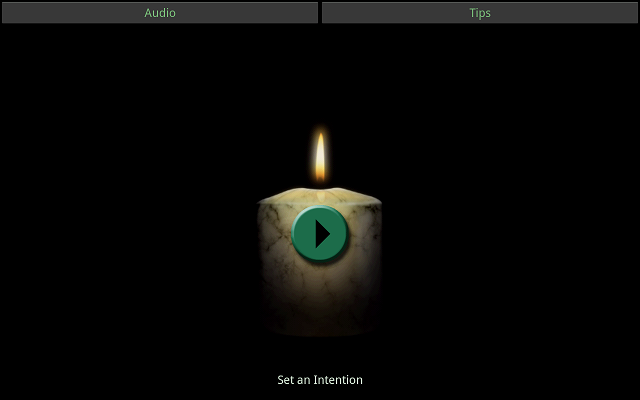 The main screen candle animation acts as a “compass” for your meditation practice. You can also set an intention that will appear on the candle. Requires Android 2.0 and up.